i know, i know, we're just getting into the swing of spring, but summer is knocking on our door. the temperature is rising, the sun is shining and the promise of long days spent by the pool are nearly within reach. considering these products are new variations for summer, you may or may not have heard of them. let me take a second to introduce you to them. Hawaiian Tropic Silk Hydration - this SPF is a versatile multi-tasker. apply as a moisturizer, a sunscreen or both. either way you will benefit from the 12 hour moisturization as well as the broad spectrum UVA/UVB exposure. applying a sunscreen daily will protect you whether you are running around town or relaxing in a chaise lounge. Playtex Sport Body Wipes - having personally spent days sitting in 90 degree weather watching soccer game after soccer game, i know there are times when i could use a little "refreshing". this product is perfect when showering is not an option, but feeling clean is a necessity. in a convenient travel pack, this powerful refreshment is tiny and portable. 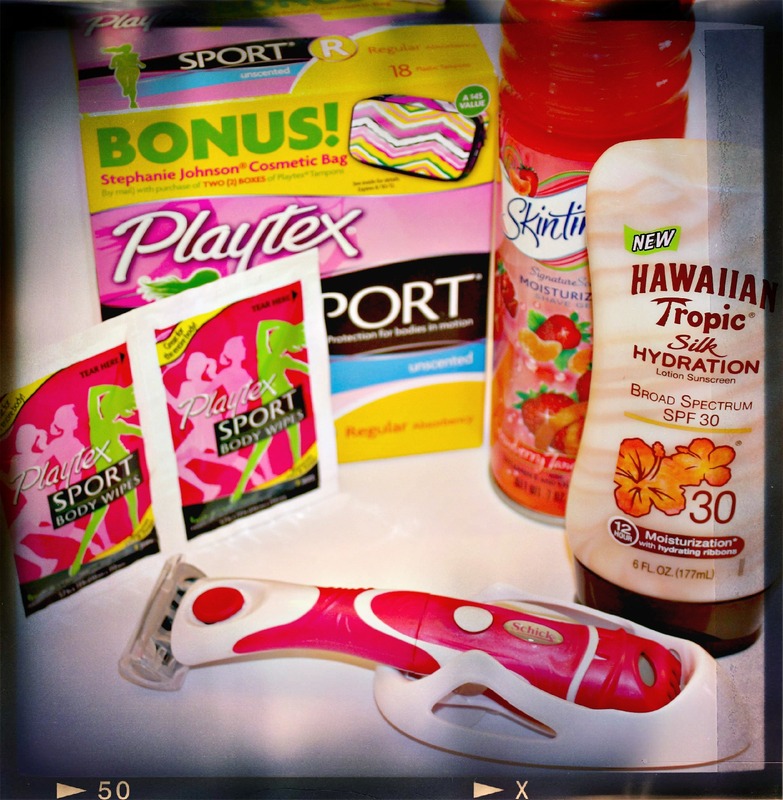 Playtex Sport Tampons - being able to be active, even during Aunt Flo's monthly visit, is one of Playtex's greatest gifts to women. with a comfortable fit, the 360 degree Sport Level Protection ensures every move will be guarded and interlocking fibers will quickly trap leaks. Skintimate Shave Gel - Skintimate is a brand with a trusted reputation and you can't go wrong with the luscious scent of Stawberry Tangerine Twist. infused with Olive Butter and Vitamin E, this shave gel nourishes and leaves your gams glowing. Schick Quattro for Women Razors and TrimStyle - FTW. this razor is the Chuck Norris of razors. a single tear from Chuck Norris could cure cancer. a single swipe of this razor leaves your skin so smooth you could skip a day or two. i repeat, skip a day or two. to top it all off, it is a razor and bikini trimmer in one. next time you and your friends meet for an impromptu pool party, you don't have to worry about the last time you made it to the waxing salon. 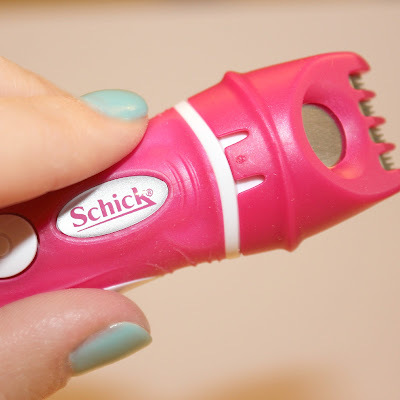 I love my schick razor! Seriously the best razor ever.